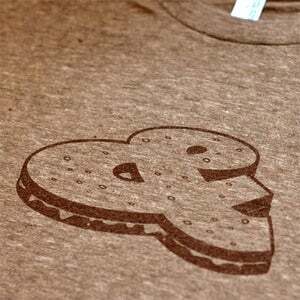 Cool Creative Commons limited edition shirt made of Noun Project images - http://creativecommons.org/weblog/entry/45224 … @creativecommons. 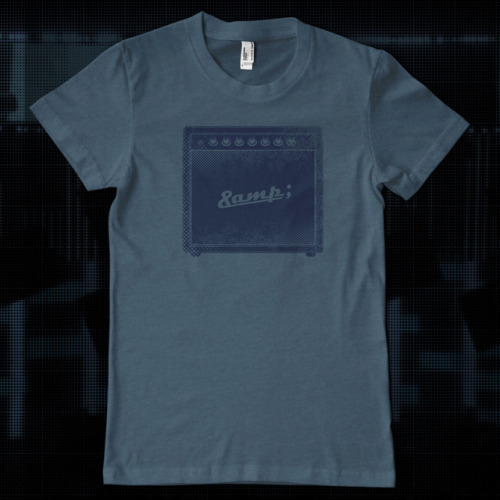 Just ordered mine! For the feds, it’s not enough to simply seize domain names without warning or due process—they want to make sure everyone knows the website operators were breaking the law, even if that has yet to be proven in court. 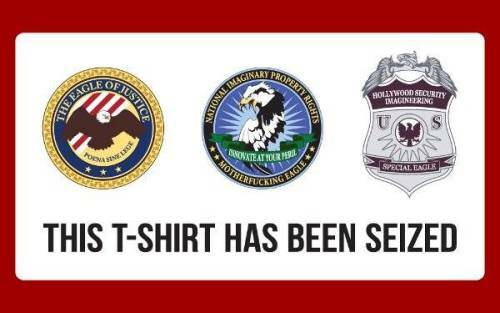 That’s why every domain that gets seized ends up redirecting to one of these dramatic warning pages, replete with the eagle-emblazoned badges of the federal agencies involved. 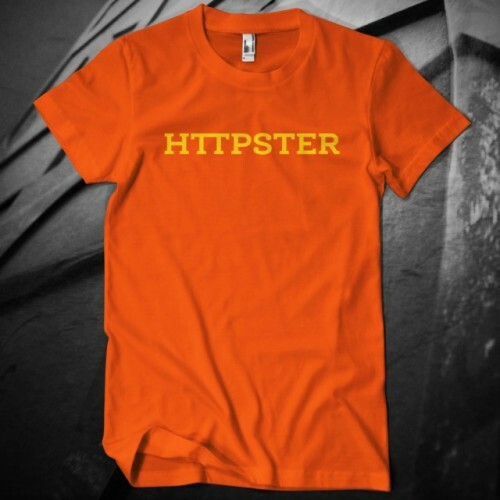 (via HTTPSTER T-Shirt) Maybe for Eric? Sticking to an exercise routine takes dedication, and many fitness junkies swear that a running companion can be a huge help. That’s why researchers have developed “Joggobot,” a quad-rotor helicopter drone designed to motivate joggers by flying in front of them. 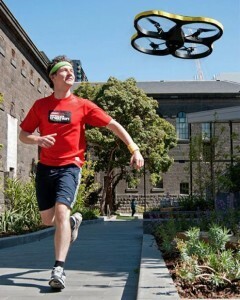 The aerial robot uses its camera to spot a colorful pattern on a T-shirt worn by the jogger, and flies at a safe distance ahead. The runner can control Joggobot using a smartphone: In “companion mode,” the drone simply maintains the jogger’s pace; in “coach mode,” it pushes its human trainee a little faster. Maybe it should chase you instead? Astronaut endorses destroying the moon! Ghostshirts it’s been a dream for a long time now, do you think that we’ll actually be able to blow up the moon in our lifetime? 2011 Aug 31, 10:03Awesome shirt of Tesla/Edison in the style of the AC/DC logo. The New Super Mario Bros. Wii is a great game. Its the fun of old school Mario with the addition of great graphics and the kind of multiplayer I've wanted for Mario since playing the original as a child: its got up to four player simultaneous cooperative multiplayer. I recommend it to anyone who has enjoyed Mario in the past. Watch this amazing video of level 1-3 you can unlock in the game. As noted elsewhere, multiple players attempting to navigate platforms, grab power ups, and throw turtle shells creates new challenges but along with that there's new ways to be incredibly cheap. A second player means a head one can jump on to reach higher locations. Jump on your friend's head at the apex of their jump while holding down the jump button yourself for maximum jumping. In the game you can also grab other players and hold them over your head. This is useful for reaching the top of the flagpole at the end of levels. On that same line, if the player you grab has a flying cap you can now use them to fly in the same manner you would use a flying block which makes it easy to get two players to the top of the finish flagpole if only one of you has a flying cap. Normal power-up blocks now spawn enough power-ups for everyone. A mushroom is spawned for each small player and full power-ups for the rest, except in the case everyone is small: then one of the power-ups is a full power-up. If there's two players and you're both small, the full power-up always jumps out of the block to the right. Some hidden power-up blocks only give out one power-up and in that case its a mushroom or not based on the player who hits the block - so be sure that a big player hits that if you have one. When a player dies but at least one other player lives the dead player comes back in a limbo bubble from which they must be released before they may play again. Because of this, in a tough spot you can send one player in and leave a second behind. If the first dies you don't lose your place in the level and the first comes back in a bubble ready to try again. For instance, if you're trying to get the last star coin in 2-1 which sits just above the abyss, one player can just jump to their death for it and as long as another player lives you've collected the coin. However you need not sacrifice your life to do this: you can press down and 'a' to force yourself into a bubble saving yourself from death. This is true in general as long as you have enough time to see your death coming. This is also useful if one player runs ahead to the right. The screen will expand a bit but then it will just move to the right following the player in the lead. Players left behind walls or now forced into lava pits will die unless they use the bubble. If all players hit the ground at the same time from a ground pound it acts like hitting a pow block, killing the enemies on the screen. If you hold a player who has a projectile power over your head they can still use their power. Bubbles can be popped by hitting them with your fire or ice projectiles as well as thrown shells or blocks. All players get the extra lives from anyone collecting 100 coins or finishing a level with more than 7 enemies on the screen. Older Entries Some rights reserved.